USES: This combination medication is used to treat tension headaches. Aspirin helps to decrease the pain from the headache. Caffeine helps increase the effects of aspirin. Butalbital is a sedative that helps to decrease anxiety and cause sleepiness and relaxation. OTHER USES: This section contains uses of this drug that are not listed in the approved professional labeling for the drug but that may be prescribed by your health care professional. Use this drug for a condition that is listed in this section only if it has been so prescribed by your health care professional. This medication may also be used to treat migraine headaches. HOW TO USE: Take this medication by mouth, usually every 4 hours as needed or as directed by your doctor. Do not take more than 6 capsules/tablets in a 24-hour period. Take with a full glass of water (8 ounces or 240 milliliters) unless your doctor directs you otherwise. Do not lie down for at least 10 minutes after taking this medication. To help prevent stomach upset, take it with food or milk. The dosage is based on your medical condition and response to therapy. This medication works best if it is used as the first signs of a headache occur. If you wait until the headache has worsened, the medication may not work as well. 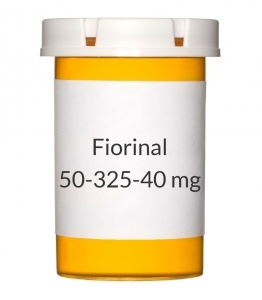 This medication may cause withdrawal reactions, especially if it has been used regularly for a long time or in high doses. In such cases, withdrawal symptoms (such as nausea/vomiting, mental/mood changes, seizures) may occur if you suddenly stop using this medication. To prevent withdrawal reactions, your doctor may reduce your dose gradually. Consult your doctor or pharmacist for more details, and report any withdrawal reactions immediately. Though very unlikely, abnormal drug-seeking behavior (addiction) is possible with this medication. To lessen the risk of becoming addicted, do not increase your dose, take it more frequently, or take it for a longer time than prescribed. Properly stop the medication when so directed. Inform your doctor if you notice increased use of this medication, a worsening of headaches, an increase in the number of headaches, the medication not working as well, or use of this medication for more than 2 headache episodes a week. Your doctor may need to change your medication and/or add a separate medication to prevent the headaches. SIDE EFFECTS: Nausea, vomiting, stomach upset, gas, shaking (tremor), lightheadedness, dizziness, or drowsiness may occur. If any of these effects persist or worsen, notify your doctor or pharmacist promptly. To lower your risk of dizziness and lightheadedness, get up slowly when rising from a sitting or lying position. Remember that your doctor has prescribed this medication because he or she has judged that the benefit to you is greater than the risk of side effects. Many people using this medication do not have serious side effects. Tell your doctor immediately if any of these unlikely but serious side effects occur: mental/mood changes, fainting, fast/irregular heartbeat, increased thirst/urination, hearing changes (e.g., ringing in the ears), easy bruising/bleeding, signs of infection (e.g., fever, persistent sore throat), heartburn, discomfort when swallowing, dark urine, yellowing eyes/skin, change in the amount of urine, unusual tiredness. Seek immediate medical attention if any of these rare but very serious side effects occur: black stools, severe stomach/abdominal pain, vomit that looks like coffee grounds, slurred speech, weakness on one side of the body. A very serious allergic reaction to this drug is rare. However, seek immediate medical attention if you notice any symptoms of a serious allergic reaction, including: rash, itching/swelling (especially of the face/tongue/throat), severe dizziness, trouble breathing. This is not a complete list of possible side effects. If you notice other effects not listed above, contact your doctor or pharmacist. In the US - Call your doctor for medical advice about side effects. You may report side effects to FDA at 1-800-FDA-1088. In Canada - Call your doctor for medical advice about side effects. You may report side effects to Health Canada at 1-866-234-2345. PRECAUTIONS: Before taking this medication, tell your doctor or pharmacist if you are allergic to aspirin, caffeine, or butalbital; or to other barbiturates (e.g., phenobarbital), salicylates (e.g., salsalate), nonsteroidal anti-inflammatory drugs (e.g., ibuprofen), or xanthine derivatives (e.g., theophylline); or if you have any other allergies. This product may contain inactive ingredients, which can cause allergic reactions or other problems. Talk to your pharmacist for more details. This medication should not be used if you have certain medical conditions. Before using this medicine, consult your doctor or pharmacist if you have: severe breathing problems (e.g., bronchopneumonia), a certain enzyme disorder (porphyria), aspirin-sensitive asthma (a history of worsening breathing with runny/stuffy nose after taking aspirin or other NSAIDs), severe stomach/bowel problems (e.g., stomach/intestinal ulcers), bleeding/blood clotting disorders (e.g., hemophilia, von Willebrand's disease, thrombocytopenia). Before using this medication, tell your doctor or pharmacist your medical history, especially of: liver disease, kidney disease, asthma, heartburn, gout, growths in the nose (nasal polyps), personal or family history of regular use/abuse of drugs/alcohol, certain enzyme deficiencies (pyruvate kinase or G6-PD deficiency), mental/mood disorders, heart disease (e.g., irregular heartbeat, recent heart attack). Before having surgery, tell your doctor or dentist that you are using this medication. This drug may make you dizzy or drowsy. Do not drive, use machinery, or do any activity that requires alertness until you are sure you can perform such activities safely. Avoid alcoholic beverages. This medicine may cause stomach bleeding. Daily use of alcohol and tobacco, especially when combined with this medicine, may increase your risk for stomach bleeding. Limit alcohol and stop smoking. Consult your doctor or pharmacist for more information. This medication contains aspirin. Children and teenagers should not take aspirin if they have chickenpox, flu, or any undiagnosed illness, or if they have just been given a live virus vaccine, without first consulting a doctor about Reye's syndrome, a rare but serious illness. Caution is advised when using this drug in the elderly because they may be more sensitive to the effects of the drug. This medication is not recommended for use during pregnancy. Consult your doctor for more details. This drug passes into breast milk and could have undesirable effects on a nursing infant. Therefore, breast-feeding is not recommended while using this drug. Consult your doctor before breast-feeding. DRUG INTERACTIONS: Your doctor or pharmacist may already be aware of any possible drug interactions and may be monitoring you for them. Do not start, stop, or change the dosage of any medicine before checking with them first. This drug should not be used with the following medications because very serious interactions may occur: ketorolac, mifepristone, sodium oxybate. If you are currently using any of these medications listed above, tell your doctor or pharmacist before starting this product. Before using this medication, tell your doctor or pharmacist of all prescription and nonprescription/herbal products you may use, especially of: acetazolamide, adenosine, antacids, beta agonists (e.g., albuterol), certain drugs used to treat gout (e.g., uricosuric drugs such as probenecid, sulfinpyrazone), certain antibiotics (e.g., penicillin, sulfonamides such as sulfamethoxazole), drugs affecting liver enzymes that remove this medication from your body (such as macrolide antibiotics including erythromycin, cimetidine, disulfiram, valproic acid, MAO inhibitors including isocarboxazid, linezolid, methylene blue, moclobemide, phenelzine, procarbazine, rasagiline, selegiline, tranylcypromine), lithium, 6-mercaptopurine, methotrexate, methoxyflurane, pemetrexed, phenytoin. This medication may increase the risk of bleeding when taken with other drugs that also may cause bleeding. Examples include anti-platelet drugs such as clopidogrel, "blood thinners" such as dabigatran/enoxaparin/warfarin, among others. This drug can speed up the removal of other drugs from your body by affecting certain liver enzymes. These affected drugs include cyclosporine, corticosteroids such as prednisone, estrogen, felodipine, metronidazole, quinidine, certain beta blockers such as metoprolol, theophylline, doxycycline. Tell your doctor or pharmacist if you also take drugs that cause drowsiness such as: certain antihistamines (e.g., diphenhydramine), medicine for sleep or anxiety (e.g., alprazolam, diazepam, zolpidem), muscle relaxants, narcotic pain relievers (e.g., codeine), psychiatric medicines (e.g., chlorpromazine, risperidone, amitriptyline, trazodone). Check the labels on all your medicines (e.g., cough-and-cold products, other headache medications) because they may contain aspirin, caffeine, or drowsiness-causing ingredients. Also keep in mind that certain beverages (e.g., coffee, colas, tea) contain caffeine. Ask your pharmacist about using those products safely. Also, check all prescription and nonprescription medicine labels carefully since many medications contain pain relievers/fever reducers (NSAIDs such as ibuprofen, naproxen, aspirin) that may increase your risk for side effects if taken together with this medication. However, if your doctor has directed you to take low-dose aspirin to prevent heart attack or stroke (usually at dosages of 81-325 milligrams a day), you should continue taking the aspirin unless your doctor instructs you otherwise. Ask your doctor or pharmacist for more details. This medication may decrease the effectiveness of hormonal birth control such as pills, patch, or ring. This could cause pregnancy. Discuss with your doctor or pharmacist if you should use additional reliable birth control methods while using this medication. Also tell your doctor if you have any new spotting or breakthrough bleeding, because these may be signs that your birth control is not working well. This medication may interfere with certain medical/laboratory tests (including fasting blood glucose, cholesterol levels, prothrombin time, urine 5-HIAA levels, urine VMA levels, certain urine glucose tests, dipyridamole-thallium imaging tests), possibly causing false test results. Make sure laboratory personnel and all your doctors know you use this drug. This document does not contain all possible interactions. Therefore, before using this product, tell your doctor or pharmacist of all the products you use. Keep a list of all your medications with you, and share the list with your doctor and pharmacist. OVERDOSE: If overdose is suspected, contact your local poison control center or emergency room immediately. US residents can call the US National Poison Hotline at 1-800-222-1222. Canada residents can call a provincial poison control center. Symptoms of overdose may include: severe drowsiness, slow breathing, severe dizziness, persistent nausea/vomiting, ringing in the ears. NOTES: Do not share this medication with others. It is against the law. Massage, hot baths, and other relaxation methods can help with tension headaches. Consult your doctor or pharmacist for more details. Laboratory and/or medical tests (e.g., liver and kidney function tests) may be performed periodically to monitor your progress or check for side effects. Consult your doctor for more details.